Join us for a special event (with wine & pizza!) 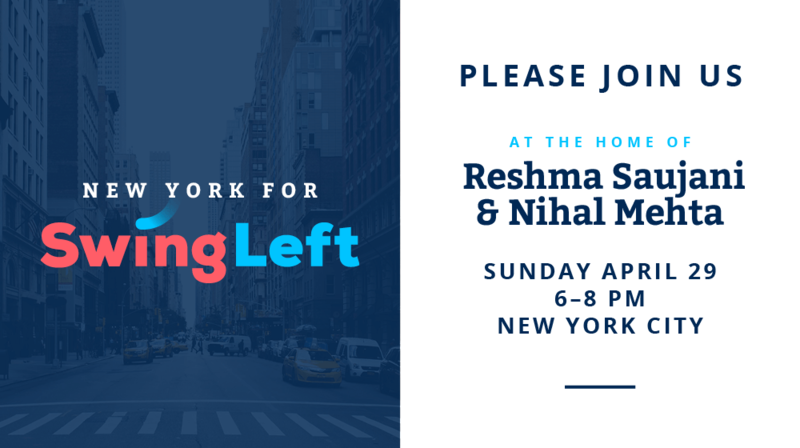 to learn more about Swing Left, a grassroots network of more than 300,000 people working to take back the House of Representatives in 2018. The evening will include a Q&A with two of the leaders of Swing Left, Executive Director Ethan Todras-Whitehill and Chief Marketing Officer Michelle Finocchi.